Wireless duo headphones may cost a bit expensive than a related wired model of headphones. Wireless headphones offer superior freedom to listen sound when you are moving. If you are looking for upgraded best wireless headphones in your budget, you can read out this article. This article you help you choose best headphones for your business or personal use. 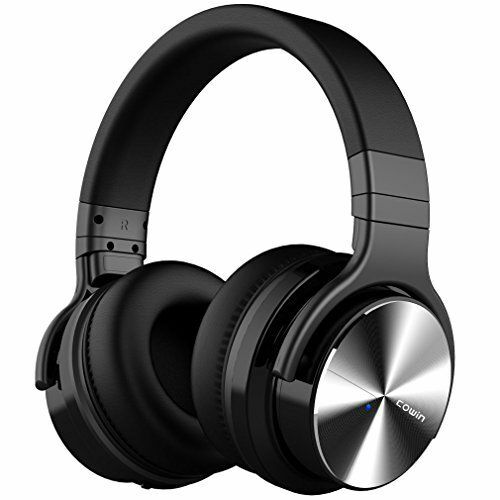 Sony 1000X series wireless headphones is the top and most favourite headphone in global market. The sound of WH-1000 is great and come with combination of superb wireless codecs. Sony’s headphone has noise-cancellation algorithms, 4Hz – 40kHz frequency response, 46 ohms impedance, dynamic drive type and 20 hours battery life. WH-1000XM2 has great bass and music so; its soft music doesn’t harm ears. This device can be hold in long travel due to light weight. Bose already captured the QC35 with updated Google Assistant and has new Google Assistant button. This headphone has capability to provide you the class-leading noise cancellation. Bose QC35 is has good sound quality and unbelievable comfort. If you are looking headphone in your budget than Bose QuietComfort 35 is best option for you. The headphone has 0.68 pounds weight and 20+ hour’s battery life. With an ergonomic fit samsung galaxy buds included wireless charging case and six hours listen time. Samsung’s Galaxy Buds offer best technology and design. The headphones are small designed to carry to go-anywhere with IPX2 sweatproofing. Samsung’s app is fully customized which allow you to adjust equalization especially useful during outdoor workouts or office hour’s. Audio-Technica have a best place in high-quality headphones, microphones, and accessories. It delivers studio quality audio with high-end audio performance, 45mm drivers, 15-28,000 Hz frequency range and well-rounded sound. The ATH-M50xBT headphones also have long battery life, 310g weight, dynamic driver, 40 hour’s battery life and Bluetooth connectivity with 10 meters range. Plantronics is useful for travellers who travel for long distance for business purpose or making events on different countries. This headphone has high charge capacity and don’t need to hold a charger or block out sound. This headphone has one special feature that allows you to set automatically turn off when you are not wearing them which save their battery life. The headphone has 100 meter wireless range and dynamic driver to connect anywhere with any device. To get more gadget news and offers from us, subscribe us or want to promote your product on our website to inquire now.